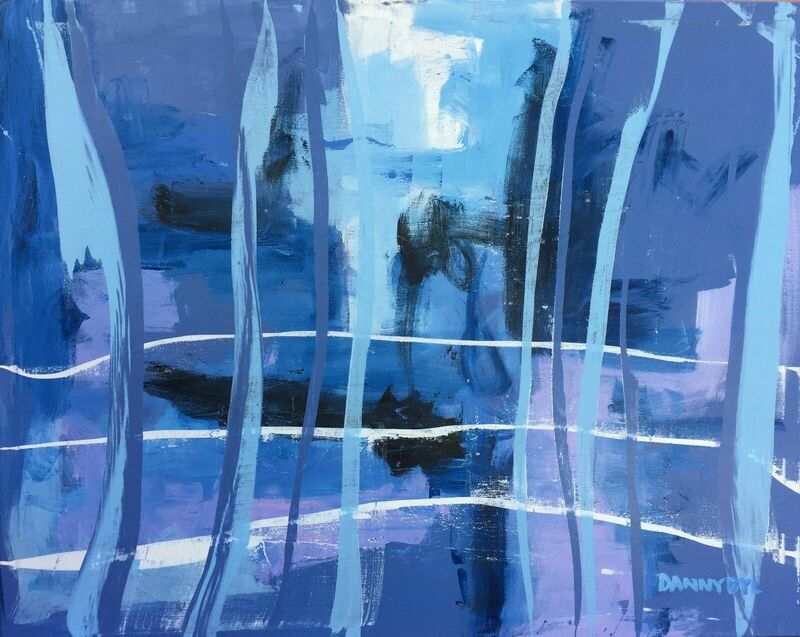 "Tru Blue" is a 4ft(h) x 5ft(w) acrylic on canvas painting by Danny Byl . It is unframed, mounted on stretcher bars. I am the artist.